Green Tours Dubai presents you an amazing opportunity to have the best Dubai Hummer Safari Tour with your friends and family to have to ultimate adventure and excitement packed in. we gives you the satisfactory and ultimate thrill packed packages that will definitely makes you Dubai Desert tour much more exciting and ever green for sure. 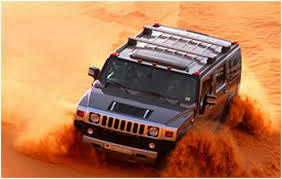 The best Hummers and ultimate drivers are looking forward to make you have an exciting tour of Dubai Deserts across the ever changing sand dunes and give you real time adventure. Through Hummer Safari you get to explore another view of desserts that is far away from the camel riding and all other traditional ways to have fun in desert’s sand. It is all about experiencing all high tech hummer in sand dunes that are completely trackless and gives you a tough time for sure. Here you experience all the fun and the difficulties that one could face in a desert more or less like a complete real but tension free ride for sure. 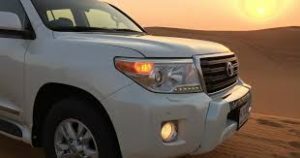 The Dubai Hummer Safari Tour we are offering you gives you the best thrilling safari experience; it is something that is not like the ordinary safari tours. You will have all the action you can dream to have a desert view in a luxurious ride. Throughout the desert you can have quality time and also can enjoy many other things like real view sightseeing and many more in the package for sure. Understanding the desert requirements we have the ultimate fleet in our collection that are ideal for driving on the stand tracks with comfortable feel. All of them are fully maintained and powerful along with being luxurious. We ensure that you will have the best feeling all the time and will get to experience the best desert Hummer Safari in Dubai with us. We ensure your safely that’s why we have the maintenance certificates of all the vehicles we use and registered them as well. If you want to experience the drive on sand dunes then we let you to have that feel on your own with our ultimate rides. But, if you want to simply enjoy by being in the car driven by our skilled and experience drivers then we have them too. We hire only the qualified and experienced drivers who are not just drivers but a guide for you as well. They could simply make your ride comfortable and informative for you as well. 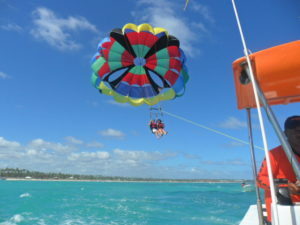 Green Tours is the Best tourism company in Dubai with years of experience in Dubai tourism industry. The combination of skilled and professional staff and the use of latest technology make us proud to be the best Dubai tourism company. Our vehicles are latest model and equipped with latest technologies, mapping and tracking system. It ensures the safe and secure travel for our tourists. The security of our customers is our priority. Coyright © 2019 Green Tours . All rights reserved.